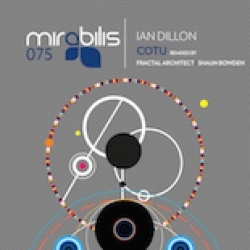 Release n. 75 for us here at Mirabilis marks another debut on the label as we managed to have Ian Dillon on board with his single "Cotu" backed with two splendid remixes coming from Fractal Architect and Shaun Bowden. Ian's original is chunky and deep driven production based around a hypnotic synth arpeggio. Daniel Watts aka Fractal Architect is one who has been making waves for while now and this remix is no exception. Daniel does what he does best - his own kind of techno and if we put it in a few words, his remix is rough, energetic and melodic. The second remix for "Cotu" comes from Shaun Bowden, who also makes his debut on Mirabilis. Taking things on a balearic route, his remix is built through harmonies and evolving melodic lines. It has that hypnotic feel and groove that we love to see on our roster. We hope you enjoy us bringing diversity and variety to our back catalog, and we truly hope this is something you would like to support in every possible way. Herman Cattaneo: I like the original! Darin Epsilon: Beautiful sounds, guys! Really great to see Ian and Fractal Architect working together. Mitch Alexander (microCastle): Strong EP, liking the org and FA mixes the most! Dale Middleton: Like both the original and Architect remix, nice work guys! Ben Coda: Fractal Architect remix sounding very nice! Mariano Mellino: Original & Frachtal Architect for me thanks ! will play for sure! Lonya: Will try for sure , thanks! Tini Tun: Original and Fractal Architect are good. Thanks! Progressive House Worldwide: Superb as always from Mirabilis, Shaun Bowden my pick of the bunch, but all of them tasty! 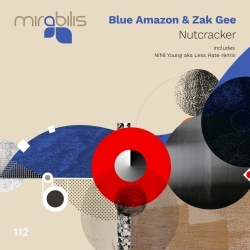 Support coming from Ilya Gerus, Habitat Music, Hans Tavera, Steve Parry, Jorgio Kioris, Makrostorung, Tommi Oskari, Mark J, Matt Black, beat Maniacs, Neil Moore, David Young, Vid Marjanovic, Ferry Corsten, Gai Barone, Sergio Arguero, Release Promo, Aldrin, Grazziano Raffa and many more!